The long and narrow grade 4-5 Mother is made up of rapids such as Aftershock, Squeeze, Toilet and Pinball. Raft through the darkness of the 170 metre Oxenbridge Tunnel and shoot the Cascade Rapid to complete the challenge. 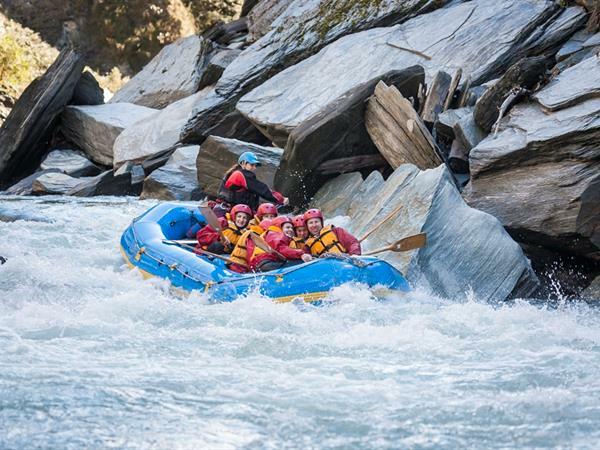 The Shotover River is accessed by either vehicle or by helicopter to the remote rafting launch site in Skippers Canyon forged out by gold miners during the big Queenstown gold rush.